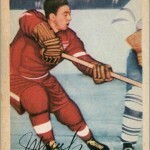 Last weekend, I attended a card show and was able to chip away at my 1953-54 Parkhurst Hockey set. 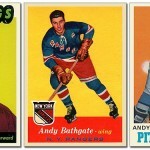 For some reason, I always seem to buy these cards in multiples of 5–5 in March, another 5 in July and 15 last December. Here are my latest additions: 4 Chicago Black Hawks and 1 Montreal Canadiens. 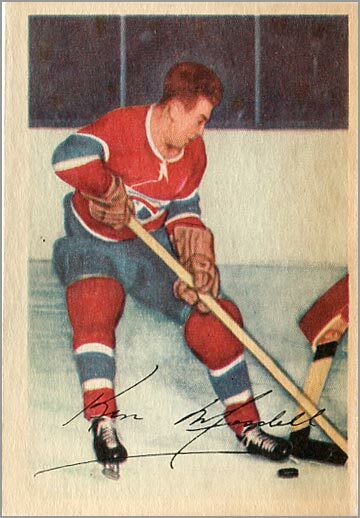 76 – Bill Gadsby – This was the best card in the group, in regards to the player and the condition. 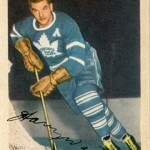 Gadsby is in the Hockey Hall of Fame, and this card has minimal corner wear. 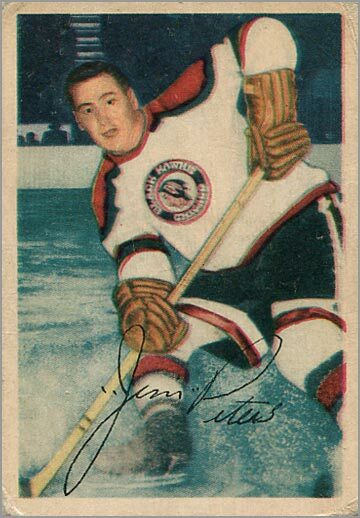 69 – Jim Peters – On the other hand, this card is in not the best condition. 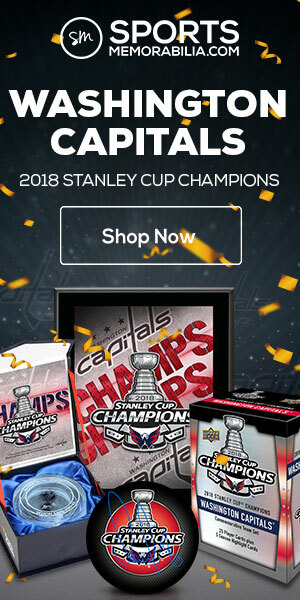 The corners are worn, and it appears that the printing registration was off. 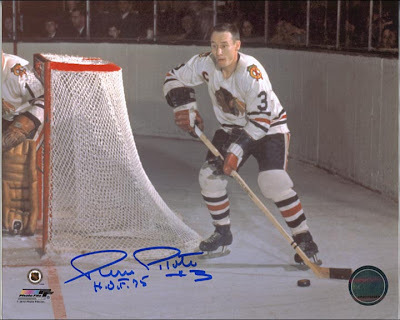 This is particularly noticeable if you look at the Black Hawks insignia on his sweater. 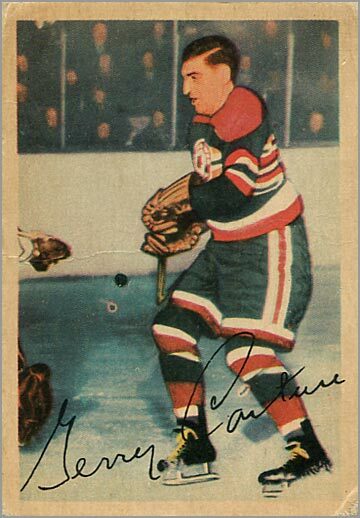 84 – Gerald “Doc” Couture – The 1953-54 season would be Couture’s last in the NHL. 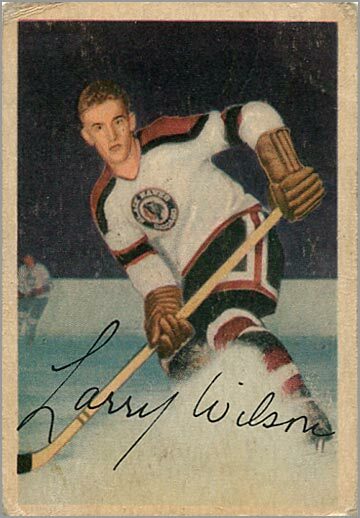 He won the Stanley Cup with the Detroit Red Wings in 1950. 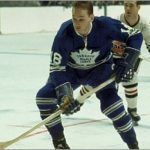 33 – Ken Mosdell – He won 4 Stanley Cups with the Montreal Canadiens and the last active member of the Brooklyn Americans–an NHL team that folded after 1942, reducing the team to its “Original Six” teams. These 5 cards put me at 47 out of 100, so I have this one almost halfway completed. 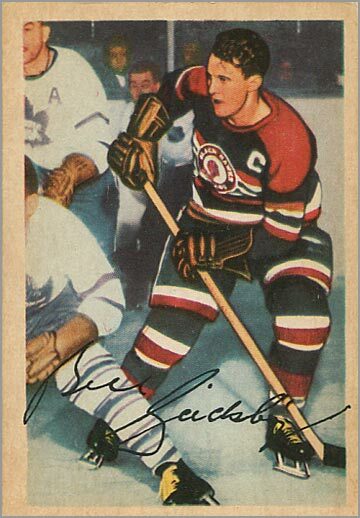 I also need the variation of Fleming Mackell (#91) that has the bio on the back. I have the one without the bio. 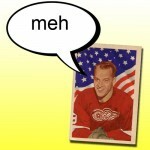 In the unlikely event that anyone has 1953-54 Parkies for trade, I have added what I need to my Want List. 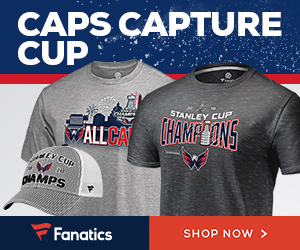 Nice grab. I only have one from that set but plan on one day taking a run at completing it. The 53 parkies are in my mind one of the nicer vintage sets with fantastic artwork and nice colour.